You have booked your tickets and transfers to Boracay, but not sure what to do in this beautiful island paradise? Aside from lounging by the beach sipping Jonas fruit shakes, there are a lot of sights and activities to do in and out of the island. 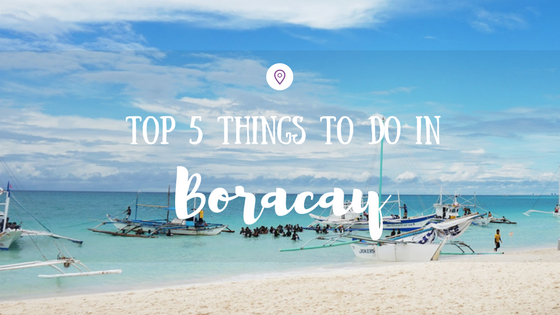 Here are our favorite top 5 things to do in Boracay. With some of the best scuba diving the Philippines has on offer, Boracay has around 25 dive sites accessible by a short boat ride. Most of these dive sites are accessible in the high season on the west side of the island; this is typically between October and May. 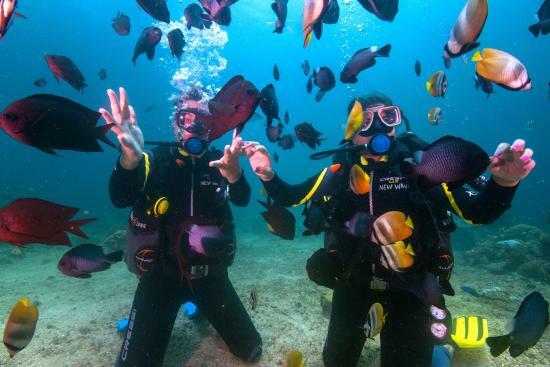 During low season – June to September, the east side of the island opens up and still offers some good dive sites. If you have not tried diving before, you can always go snorkeling or get a diving course from some of the reputable dive centers in Boracay such as New Wave Divers or Water Colors Boracay Diving Adventure. If you have the strength and heart to do it then we suggest you head over to Ariel’s Point, a popular cliff diving spot that can be reached by a 30 to 45-minute boat ride from station 1 in Boracay island. The whole experience priced at Php 1,600 ($35+) per person includes jumping off the cliff dive platforms (with heights at 3 meters, 5 meters, 6 meters, 7 meters and 13 meters), roundtrip boat ride, unlimited drinks, BBQ lunch buffet, afternoon snacks and full use of Ariel Point’s other services (canoes, kayaks, snorkeling gears and floating raft). 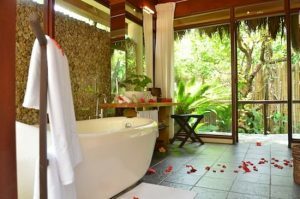 If you are looking for a day of solitude relaxing at the hands of experienced therapists, there’s a selection of spa that offers a variety of treatments and massages at Boracay. Our favorites are Mandala Day Spa, Terra Wellness Spa and Tirta Spa. Make sure you book your treatments in advance and they get filled up pretty fast! Whether you are looking for the perfect souvenir to bring home or fresh seafood cooked right in front of you, D’Talipapa and D’Mall has a selection of both and more. Be prepared to haggle though as these two places are full of tourist and some vendors tend to jack up their prices. Nevertheless, we think you’ll enjoy the fresh seafood here, as well as local delicacies that are only available on the island. Enjoy the sea and the wind with these three activities. You can head over to Bulabog Beach where there is a ‘sporty’ community and enjoy kiteboarding and windsurfing with fellow enthusiasts. 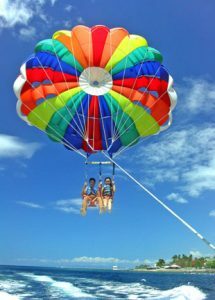 If you’re not so skilled with both, you can always go for parasailing – one of the great ways to see Boracay from a great vantage point up in the sky. Like what I have said, there are tons to do in this beautiful island and there is for sure more. So what are you waiting for? Your Boracay holiday awaits! Start your holiday with a seamless transfer from Kalibo or Caticlan Airport to Boracay. Book your airport transfers with Island Star Express.